Home [ What Comes Next? May 20th, 2013 was a devastating day. 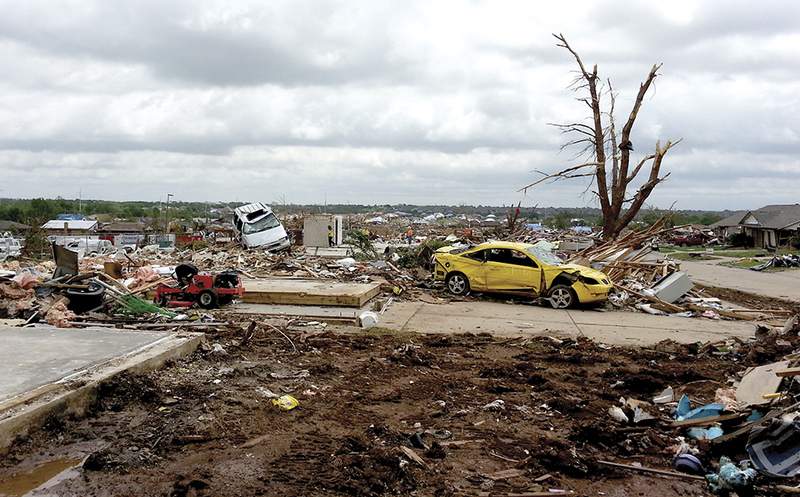 Tornadoes ripped through Central Oklahoma and crippled thousands of people across our state. The First United Methodist Church in Moore found themselves at ground zero; there was so much need right in front of them. Many people had lost everything. They didn’t know where the next meal would be; they didn’t even have a place to spend the night. Moore First UMC opened their Family Life Center as a temporary shelter, but they knew more would need to be done. The Oklahoma United Methodist Foundation was able to reach out with gift cards. While other organizations manage the bigger details of disaster recovery and cleanup, some of the smaller details can be left behind. Gift cards provided a toothbrush, a fresh change of clothes, a motel room, or a meal out. They supplied the little things that kept the day-to-day closer to normal as people affected by the tornadoes began to rebuild. Thanks to funds from a wide variety of sources, a story of strength and unity in the face of disaster was told. The Foundation is blessed to be a part of stories like this.